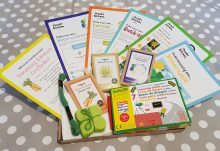 I’m always happy to try new subscription boxes so I was very excited when this one arrived last week from Cordelia’s House Of Treatures which is a new (to me) subscription box focusing on British products. Each box will contain a minimum of four items per month such as a handmade product, home fragrance item or gift. All of the items in the box were nicely wrapped and presented. In my opinion, it is a very reasonably priced subscription box. Let’s start with one of my favourite items from the box, although I like everything and it’s a cute little compact mirror. 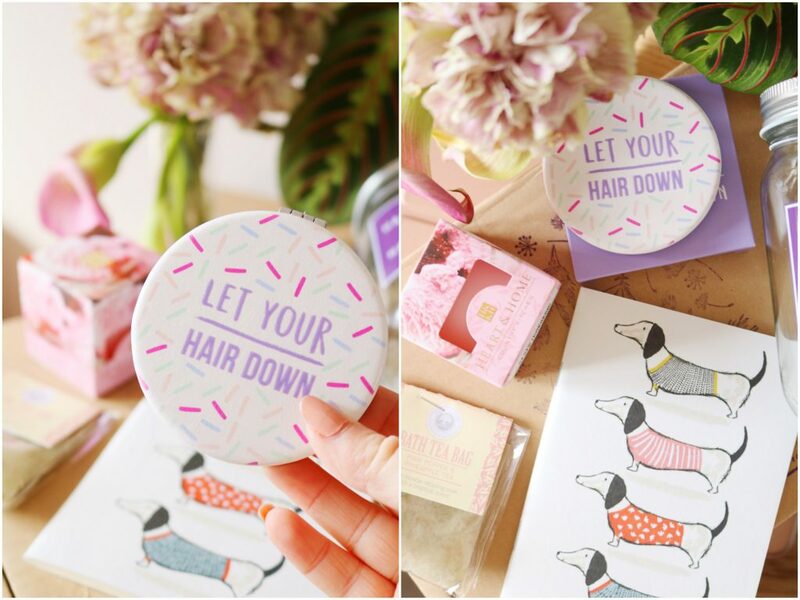 It comes boxed and the design of the mirror itself is adorable with the words ‘let your hair down’ on the front along with sprinkles! I love the design, it seems to be very well made and it’s a nice little mirror to keep in your handbag. Next up, is also tied to be one of my favourite items from the box as not only is it a lovely little notebook but it has dogs on the front! Stationery is one of my favourite ‘necessities’ to buy as there are so many cute notebooks and stationery items out there but this has to be one of the best. The box didn’t come with a leaflet explaining the items or listing the prices which is my only negative about the box, otherwise I would have included prices for everything. 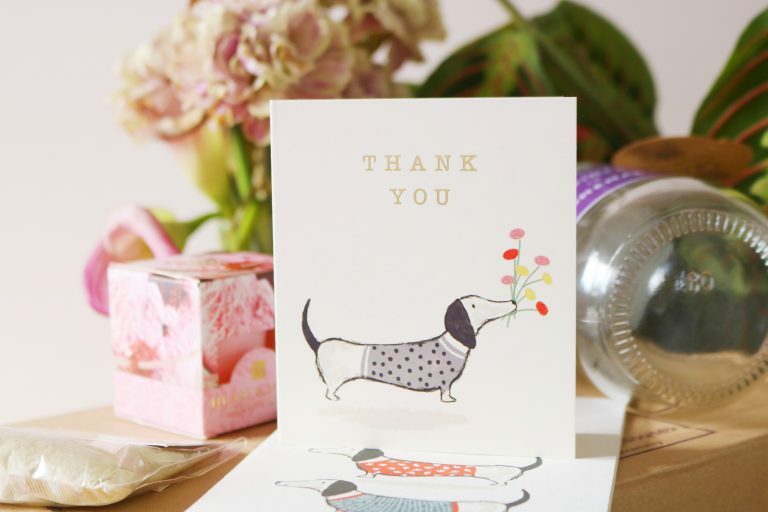 I also received a little thank you card with the same design which is from The Art File. I personally love candles so I was very happy to find two within my box this month! The first is an ideal spring candle as the scent is ‘strawberry ice cream’ and it is as good as it sounds. It makes me want strawberry ice cream and I hope it will smell just as good when it’s melting too. I haven’t tried this brand before so I’m glad that I get to try two of their products from the box. Now onto a brand I have tried and loved in the past, Wild Olive. 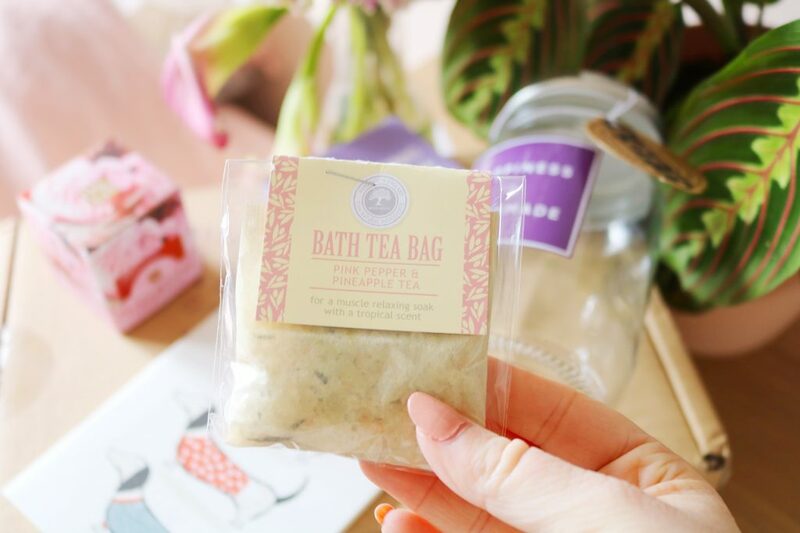 I’ve tried their bath bombs but I haven’t tried this bath ‘tea bags’ before. The scent I have is Pink Pepper and Pineapple tea and it smells incredible. It smells very fruity and fresh, I love that it’s contained within a teabag-like packet and I can’t wait to use it with the candles as part of a pamper evening. The penultimate item is another product from the home fragrance brand, Heart and Home. I’ve seen products like these ‘scent cups’ before but I haven’t tried any; however it looks like a great way to try a new scent without buying the full sized candle. 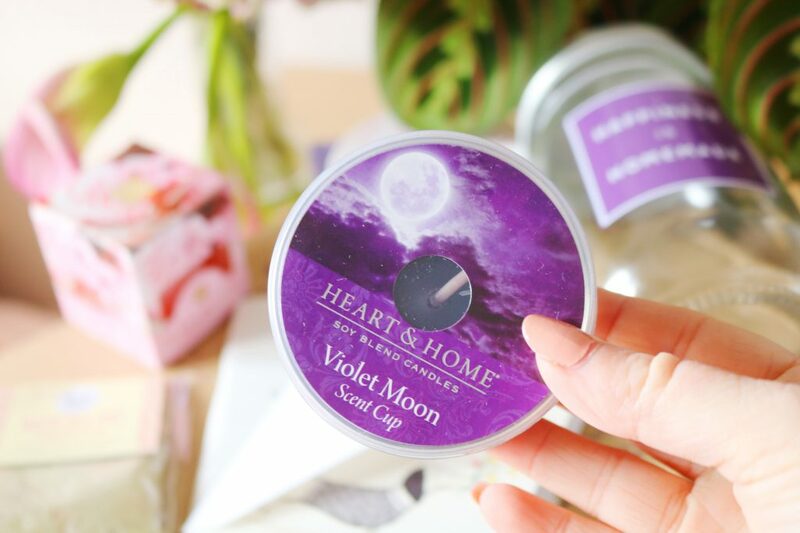 The Violet Moon scent is very musky and rich which I love – it’s a very masculine scent, if you want to label it that way. The final item is a cute but simple glass jar with the words ‘happiness is homemade’ on the front. 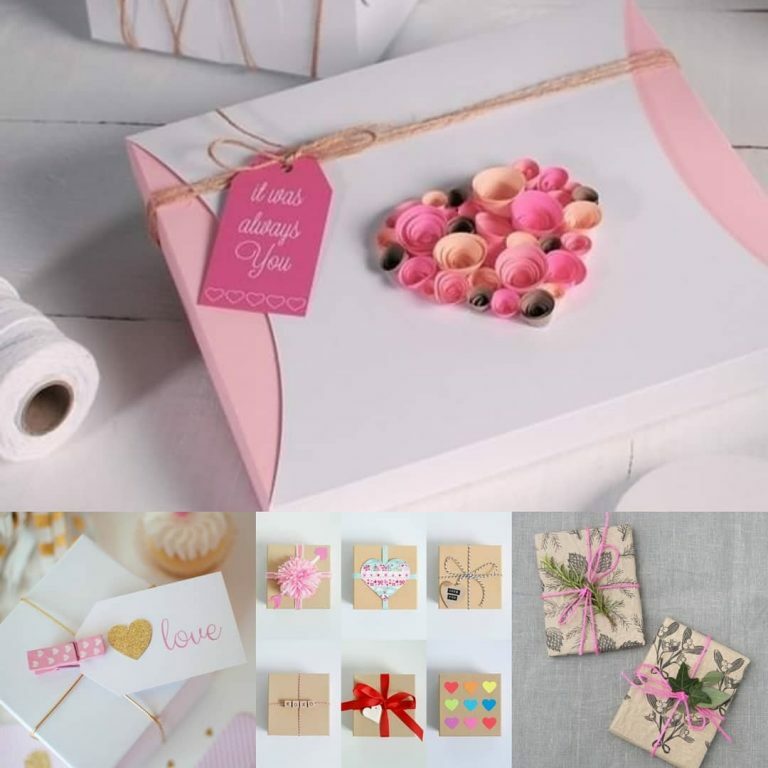 From the message on the front, I think it would be ideal for small homemade sweet treats or even homemade beauty products. I haven’t decided on a use for it yet but it is cute and I love organising/storage items so this is perfect for me! Overall, I'm very pleasantly surprised by my first box and I loved so many of the items as well as the cute presentation. 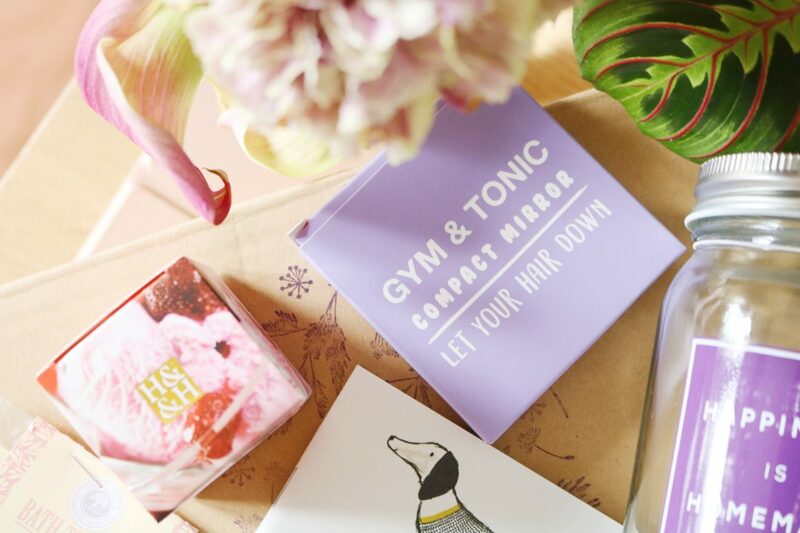 My favourite items have to include the candles, notebook and the compact mirror. 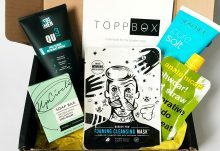 If you're looking for a new and reasonably priced subscription box then check out this one! 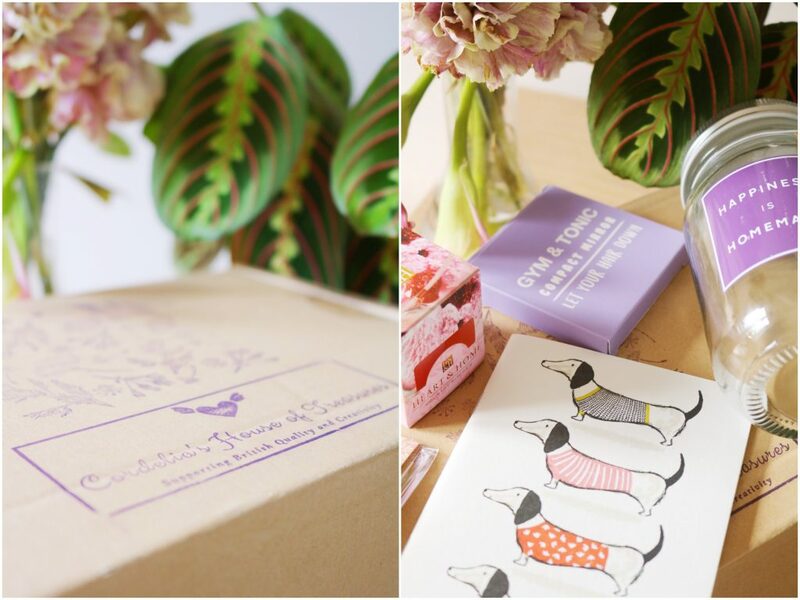 How would you rate Cordelia’s British Gift Box ?